LANGUAGE ·Wiesel first wrote an 800-page text in Yiddish titled Un di Velt Hot Geshvign (And the World Remained Silent). The work later evolved into the much-shorter French publication La Nuit, which was then translated into English asNight. TIME AND PLACE WRITTEN · Mid-1950s, Paris. Wiesel began writing after a ten-year self-imposed vow of silence about the Holocaust. DATE OF FIRST PUBLICATION · Un di Velt Hot Geshvign was first published in 1956 in Buenos Aires. La Nuit was published in France in 1958, and the English translation was published in 1960. POINT OF VIEW · Eliezer speaks in the first person and always relates the autobiographical events from his perspective. TONE · Eliezer’s perspective is limited to his own experience, and the tone of Night is therefore intensely personal, subjective, and intimate. Night is not meant to be an all-encompassing discourse on the experience of the Holocaust; instead, it depicts the extraordinarily personal and painful experiences of a single victim. SETTINGS (PLACE) · Eliezer’s story begins in Sighet, Transylvania (now part of Romania; during Wiesel’s childhood, part of Hungary). 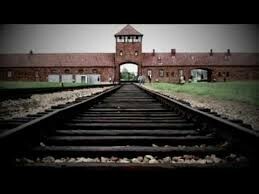 The book then follows his journey through several concentration camps in Europe: Auschwitz/Birkenau (in a part of modern-day Poland that had been annexed by Germany in 1939), Buna (a camp that was part of the Auschwitz complex), Gleiwitz (also in Poland but annexed by Germany), and Buchenwald (Germany). FORESHADOWING · Night does not operate like a novel, using foreshadowing to hint at surprises to come. The pall of tragedy hangs over the entire novel, however. Even as early as the work’s dedication, “In memory of my parents and my little sister, Tzipora,” Wiesel makes it evident that Eliezer will be the only significant character in the book who survives the war. As readers, we are not surprised by their inevitable deaths; instead, Wiesel’s narrative shocks and stuns us with the details of the cruelty that the prisoners experience. 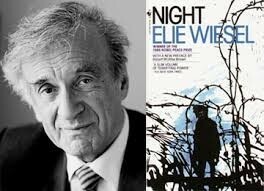 Elie Wiesel had one main purpose for writing of his experiences during the Holocaust (in his novel Night). According to his introduction, Elie knew that the Holocaust and the period of time which surrounded it "would be judged one day." Him and the book Night. One survivor and everyone else is dead. The building where Jews were killed.